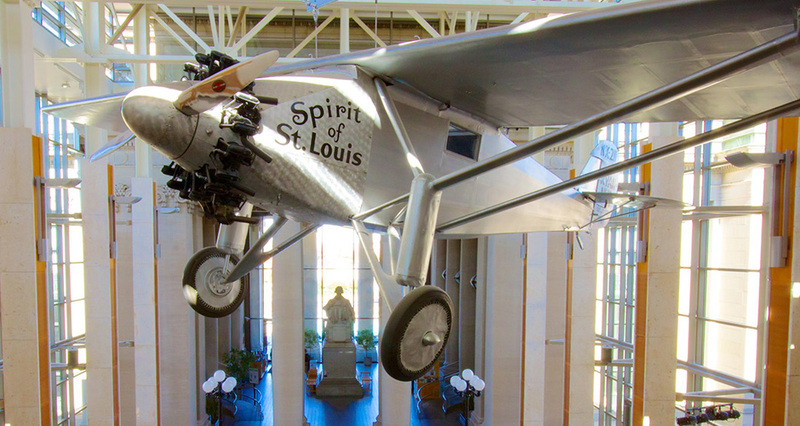 Hope works as a Museum Educator at the Missouri History Museum. “I am not just a regular Gallery Attendant,” says Hope. “There are always many things to do here, and I love it. My job is to engage with families and their kids.” She transferred to UMSL from St. Louis Community College – Meramec, and first decided to be a teacher. The Bachelor of Educational Studies program had just been restructured, and her conversation with Dr. Carl Hoagland, the program’s co-director, convinced her that this was exactly what she wanted to do. Hope was getting her BES degree with the minor in Child Advocacy and was still not sure whether to continue with social work or choose the educational path after graduation, when in her last year Dr. Theresa Coble opened up to her the world of museums, national parks and interpretation. “I didn’t know that this could be a job!” exclaims Hope. 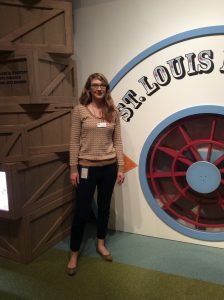 She did her introductory internship at the Child Development Center at UMSL because of her CAST Certification, and then her Capstone internship at the Butterfly House, which is part of the Botanical Gardens. “When I started going to UMSL I never thought that I would be holding cockroaches!” laughs Hope. “But this is what I like about this program: I had to accept being uncomfortable in situations like that and I used that as an opportunity.” Among her other responsibilities was doing research for grant writing, assisting with special events, leading tours, giving lessons, and actually teaching and engaging with people. Hope was initially hoping for getting an internship at the History Museum while she was still in the program, but what happened was even better: They called her right when she was about to graduate and offered a job at one of their new galleries. The museum offers various types of events for families with kids, from storytelling where staff members like Hope create their own mini sessions, to special events, where they work as facilitators and ensure that everything goes smoothly.